You are here: Home / Cebu Pacific / CEBU PACIFIC AIR: FLIGHTS FOR AS LOW AS 99 BASE FARE! 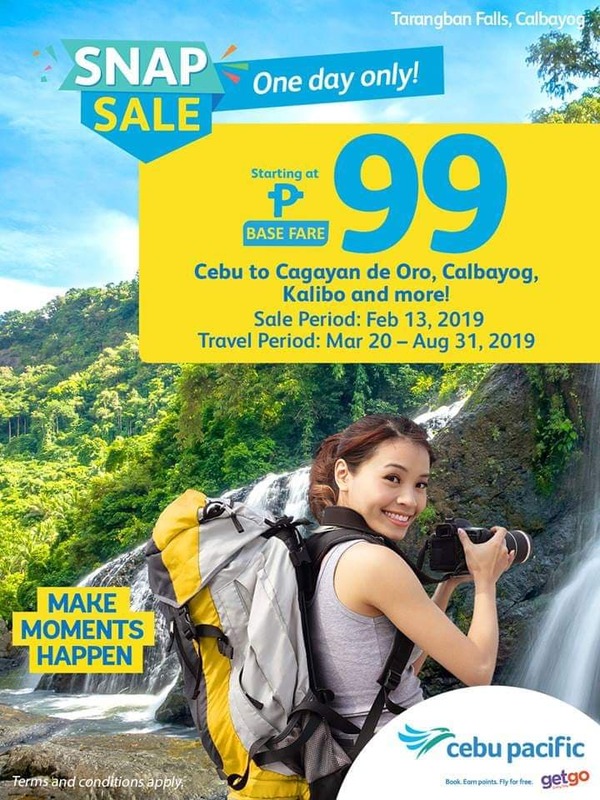 CEBU PACIFIC AIR: FLIGHTS FOR AS LOW AS 99 BASE FARE! Summer is getting closer! Time to plan and book your summer adventures. No plans yet for summer? No worries! You can fly to your favorite summer destinations for as low as 99 base fare only with Cebu Pacific Air. What are you waiting for? Book now and make your summer moments happen with Cebu Pacific Air! HOW to avail that promo.